Sometimes you just want to eat something that feels like a treat. There’s nothing wrong with it. And if you plan ahead, there actually can be something right about it. That’s where these protein balls with oats come in. You know how you sometimes get that mid-afternoon craving for something sweet? Or maybe it strikes at night, when you’re just winding down for the day. 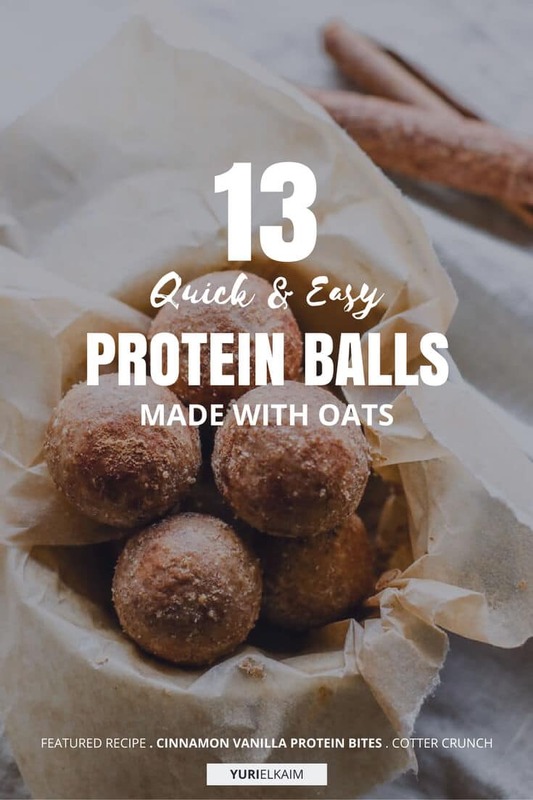 These protein balls with oats are pretty perfect when it comes to satisfying that urge. That’s because they contain protein, get an extra boost from the fiber in the oats, and they’re also very versatile, with tastes to suit anyone. And if you follow me, you probably know I am an advocate of eating oats at night instead of in the morning, as they work with our bodies hormones to optimize our sleep and fat-burning. The bonus with these protein balls is that they are super easy to make, even if you’re not a cook. Make up a bunch in advance so they’re ready the next time you have a craving. Or maybe even add them into your regular meal plan to head off cravings before they start! A little bit sweet, a little bit salty: it doesn’t get much more delicious than this. 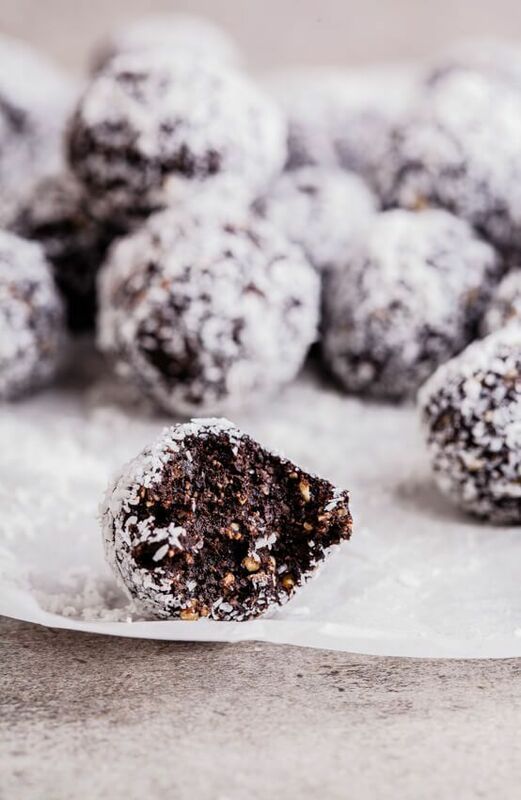 This high-protein recipe makes protein balls paleo, using simple ingredients that come together to create a mouthwatering combination. Toasted coconut flakes, roasted almonds, and a big scoop of almond butter take this scrumptious recipe to the next level. These energy bites have the fluffy, tender taste of a muffin, but make a much healthier snack with more protein and less sugar. A splash of lemon juice bring some zest to this recipe while poppy seeds add a bit of crunch. Bonus: 17 grams of protein and less than 150 calories per serving of these delicious bites! With 3 grams of protein in each bite, it’s hard to imagine a sweeter way to meet your daily protein needs than this. Did I mention this recipe is super easy to prepare? Just grind up and mix ingredients together, freeze, and enjoy. Super simple. These protein balls will bring back the flavor of the holidays, but can be enjoyed all year long. 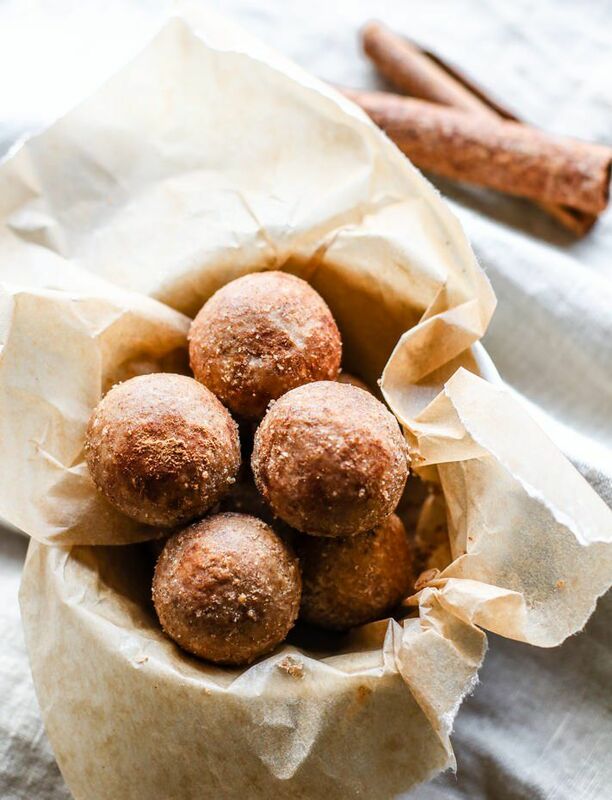 In addition to vanilla protein powder, flax seeds and nuts bump up the protein and fiber content of these nutritious protein balls while ginger, cinnamon, and cashew butter make them tasty. Rich and decadent, these oat bites feel like an indulgence, but actually make a pretty healthy snack. Sweetened with dates, antioxidant-rich maple syrup, and cocoa powder, this recipe uses peanuts and peanut butter to pack in tons of protein, so you can feel free to have seconds (or thirds). This recipe requires minimal time in the kitchen to produce maximum deliciousness. Just mix together a few superfood ingredients, including chia seeds, honey, protein powder, and cashew butter, form the mixture into a ball, and refrigerate. It doesn’t get much simpler than that! 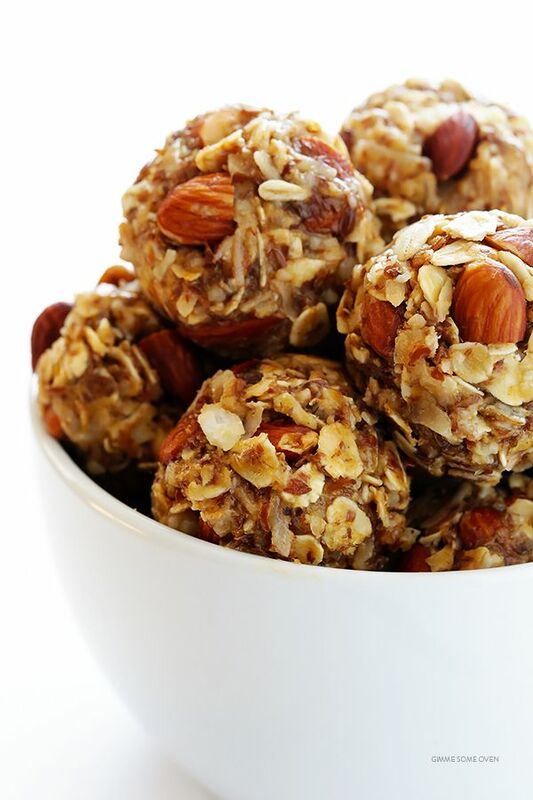 Just four ingredients are required to make these yummy energy bites. They’ll have you feeling like you’re indulging in strawberries dipped in chocolate, but with a boost of added protein and fiber. These colorful protein balls look and taste like creamy truffles, but are actually brimming with protein. Each bite contains an impressive three grams of protein and one gram of fiber. Plus, this recipe is sweetened by cocoa powder and dates, providing only three grams of sugar to help you skip the sugar crash. Healthy and delicious, this recipe is loaded with health-promoting ingredients. Chia seeds and coconut oil provide a hearty dose of healthy fats, maple syrup boosts the antioxidant content, and hemp and pea protein powders pair up to create a complete amino acid profile. 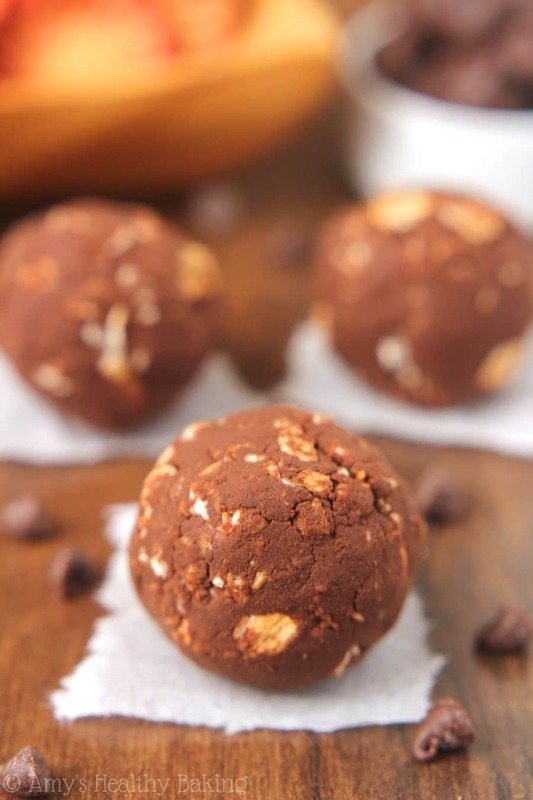 Make a batch of these protein balls and it’s guaranteed you won’t have any leftovers. They pack a big-time nutritional punch, with protein-rich peanut butter and protein powder. Plus, a few mini chocolate chips are thrown in to enhance sweetness and flavor even more. Believe it or not, these gorgeous pink protein bites really are as good as they look. 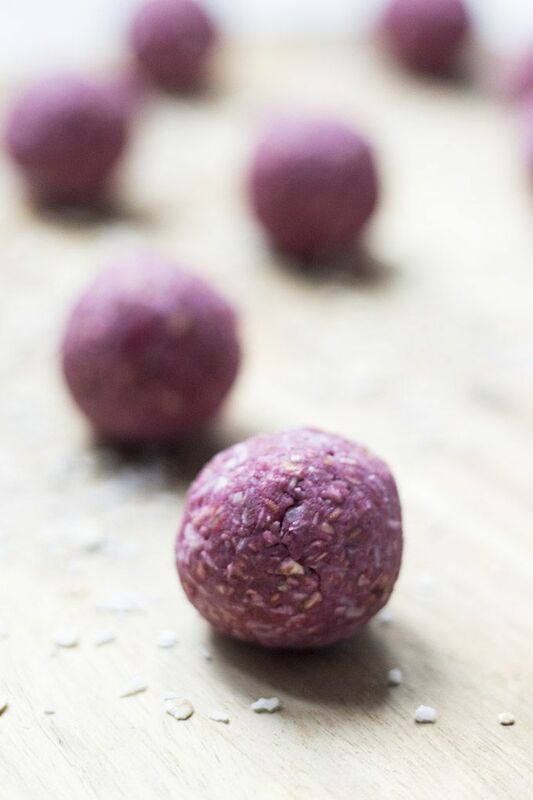 Raspberries and coconut team up to make these protein balls especially delicious while a dollop of melted coconut oil revs up the health benefits, maximizing the amount of healthy fat in every bite. Who knew carrot cake could be this healthy? This recipe uses grated carrots plus pecans for an authentic carrot cake taste. A drizzle of almond butter “frosting” tops it off, making it the perfect healthy treat! Welcome to the official subreddit of Nox App Player. You can discuss and share anything related to Nox with other users in this place. Nox Player for iOS free download for Windows 7,8,10. Guide to download Nox App Player 3.8.1.1 android emulator for PC. 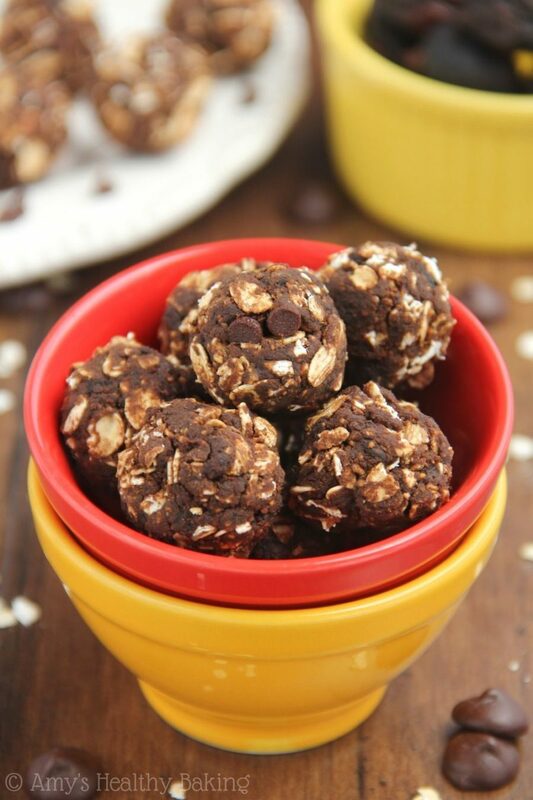 These energy bites might taste like dessert, but they are loaded with protein and can be enjoyed guilt-free. Two types of chocolate and dried fig manage to mask the flavor of protein powder, bringing you the tastiest (and most chocolatey) healthy snack ever. 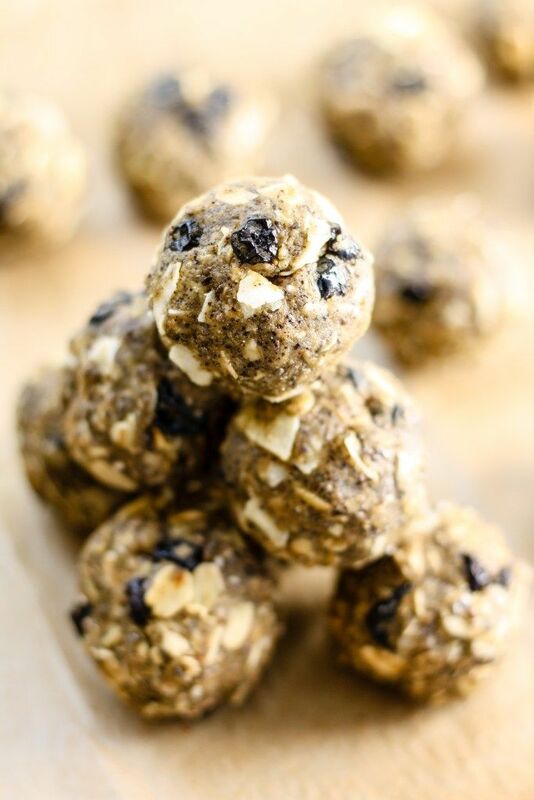 Protein balls with oats are an easy and delicious way to upgrade your snacking. Set aside a little time during the week, mix up a big batch, and enjoy. This is the perfect make-ahead treat you can indulge in, guilt-free. Want more snack ideas? Get my FREE downloadable eBook, which features 8 energy-boosting desserts so tasty you’ll swear they’re bad for you. Click the banner below to download Healthy Desserts now!